Android has forever been baited for its slow upgrade cycle and leaving many users stuck on older iterations, but the dominance of Android 2.3 (aka Gingerbread) is set to come to an end in less than a month. 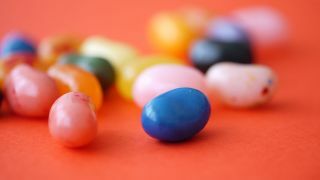 The latest figures are out for Android version market share and Jelly Bean has witnessed a 5.5 per cent increase to 33 per cent - closing the gap on the leader Gingerbread which has slipped to 36.5 per cent. Android 4.0 Ice Cream Sandwich has also witnessed a small decline, down to 25.6 percent from 27.5 at the last count - and at this rate Jelly Bean will be the most used version come July. Better late than never. Why not chow down on some more bite-size chunks of news - here's a load more great blips!